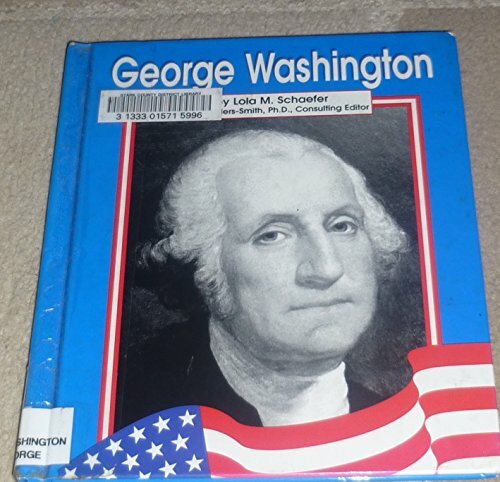 Text and pictures introduce the personal life, education, and political career of the first President of the United States, George Washington. Gail Saunders-Smith is an assistant education professor at Youngstown State University in Ohio. She is also an independent staff developer, writer, and editor. She presents nationally at conferences on literacy development and instruction and has written numerous articles, children's non-fiction books, and professional resources. Gail holds a B.S. and M.A. in Early Childhood Education from Kent State University and a M.S. in Administration and Supervision from Youngstown State University. She completed post-graduate work at The Ohio State University and earned a Ph.D. in curriculum and instruction from The University of Akron. Gail is a former classroom teacher, Reading Recovery Teacher Leader, and Reading/Language Arts K-12 Supervisor and Coordinator of State and Federal Programs for the Summit County ESC.